Don’t waste time changing your locks if you don’t need to. Call us for a lock rekey instead and save time and money. Whether you want your locks rekeyed after moving into a new property, or you want your current locks replaced with a new more advanced security system, we will provide all of the lock services you need at fair and upfront prices. Call now for emergency rekeys or to learn more about our complete range of 24-hour lock services near you. Why call Pros On Call for lock rekey services? You run a business and an employee has lost their key. You are concerned about that key falling into the wrong hands and putting the security of your business property at risk. After all, you don’t want to spend a lot of money to have new locks installed throughout your entire building. With our unbeatable lock services, you can call us for quick and affordable lock rekeys. What Does It Mean To Have Your Locks Rekeyed? Basically, we will change the internal mechanism of your existing lock so that the old, lost or stolen keys no longer work. Then, we issue you brand new keys. A rekey is faster and less expensive than a complete lock change, but you can still rest easy knowing that your property is secure. We should note that rekeying only works if your locks are not damaged. 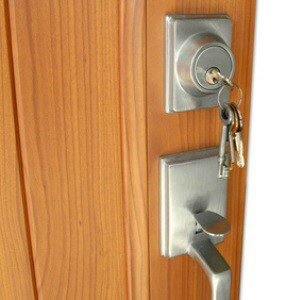 If your locks have suffered damage from a break-in or inclement weather, your best option is to have new locks installed. Residential lock rekey services can be pursued following a situation that involved theft or a misplaced key. And we always suggest that you have your locks rekeyed when you move into a new house because you never know who may have had access before you moved in. We can also rekey all types of locks for you including high-security grade 1 locks, deadbolts, profile cylinders, mortise locks, and more! Although commercial locks are designed with advanced components that boost safety, the tools that we use help us modify these locks strategically so that managers can protect their products. We never delay during commercial rekey projects because we fully understand that a business’s finances are always affected when security problems that involve locks aren’t resolved in a timely manner. Emergency lock rekey services provide benefits during important situations when security inefficiencies can impact how well a lock can prevent crime. Safety is very important to us during emergency locksmith situations and this why we keep multiple tools for maintenance tasks on our trucks so that effective rekey tasks can be implemented quickly. The process of scheduling an appointment for emergency services is never challenging because our mobile locksmiths are dependable. We are at your service 24-hours a day, every day of the year. This even includes weekends and holidays. Plus, we provided the fastest response times around. So, when you call us for help, once of our friendly technicians will arrive within 30 minutes, guaranteed. We are fully licensed, bonded, bonded and insured so you know you are protected when you call us. And with a crew of locksmiths that all have 5+ years of experience combined with mobile units outfitted with all of the latest locksmith tools and equipment, you get quality service every time. And if that wasn’t enough, we also promise to provide you with competitive and honest prices before we begin any job for you. So give us a call and request our lock rekey services day or night! Lock Rekey https://prosoncall.com/locksmith/lock-services/rekey/ 4.2/5 based upon 6 reviews.